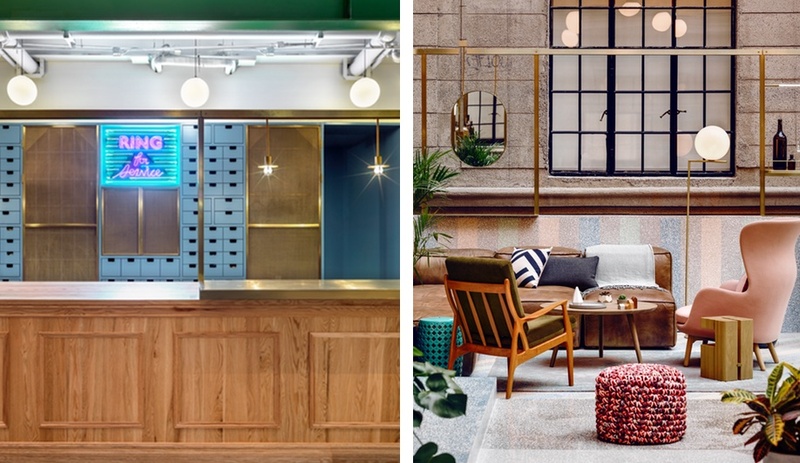 As remote work becomes the norm and more workers trade office jobs for the entrepreneur life, co-working spaces are popping up around the globe. 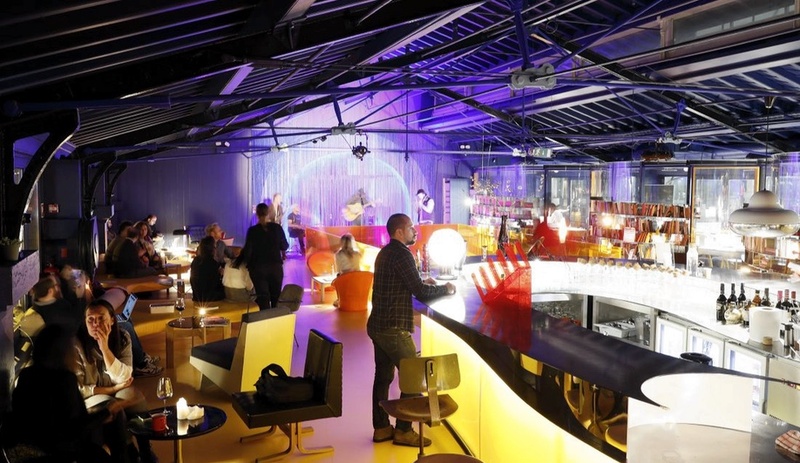 No longer just rooms lined with tables and laptops, these hubs have become design hotspots. 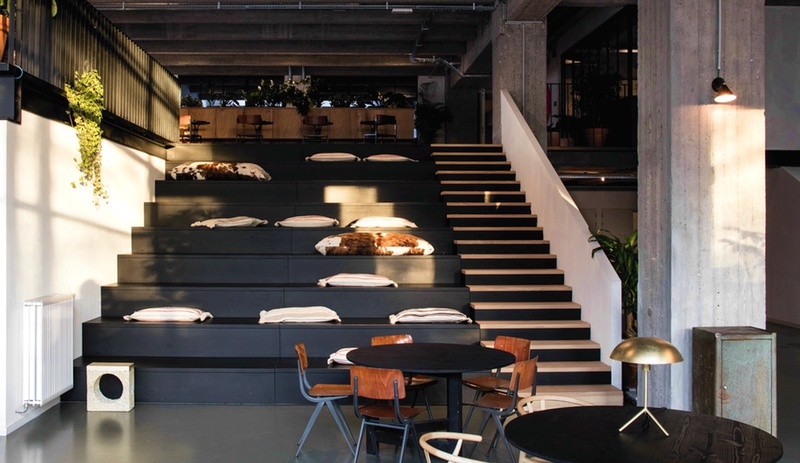 Here, eight inspiring co-working spaces that make good design a priority. 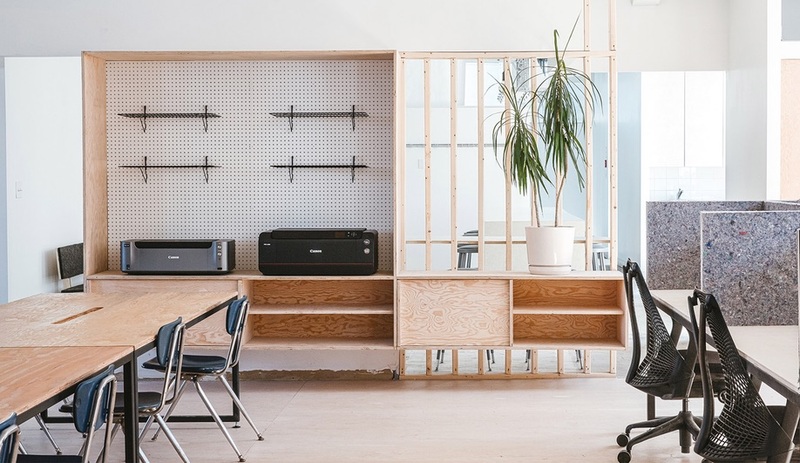 Behar and good friend Amir Mortazavi, a property developer and Canopy co-founder, were the driving creative force behind this boutique, members-only co-working space in the city’s Pacific Heights neighbourhood. 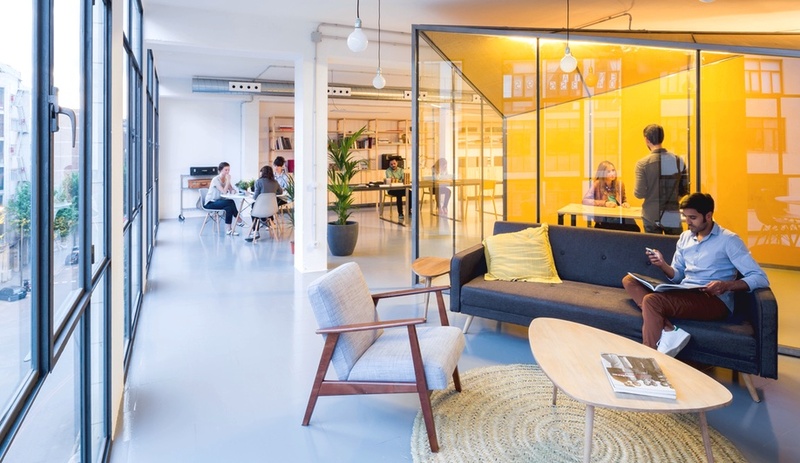 Up to 45 entrepreneurs can work from personal desks or shared spaces, including from a lounge area outfitted with a 1960s modular sofa, updated to include built-in outlets and USB ports. Behar’s own contract furniture for Herman Miller can be found elsewhere. Other elements of note include a huge black marble reception desk, custom wood floors in a chevron pattern and tubular skylights that bathe the space in natural light. 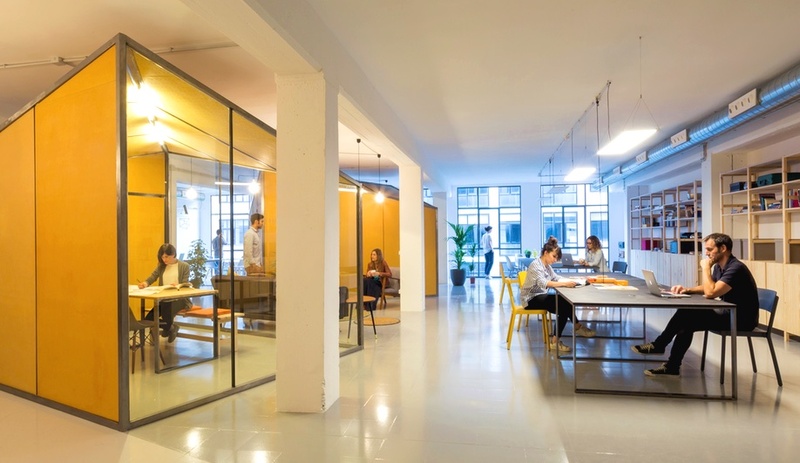 Local firm Nook had a vested interest in creating an inspiring co-working space in Barcelona’s innovation district: part of the space would be their future office, and the rest would be rented out to other companies for short- or long-term use. To define the partition-free, 300-square-metre space while maintaining openness and flexibility, Nook inserted three asymmetrical volumes – with yellow chipboard walls and glass panelling – to house private meeting areas and washrooms. The placement of the pods in the centre of the room creates distinct areas around the perimeter, for collaborative work, lounging and dining. 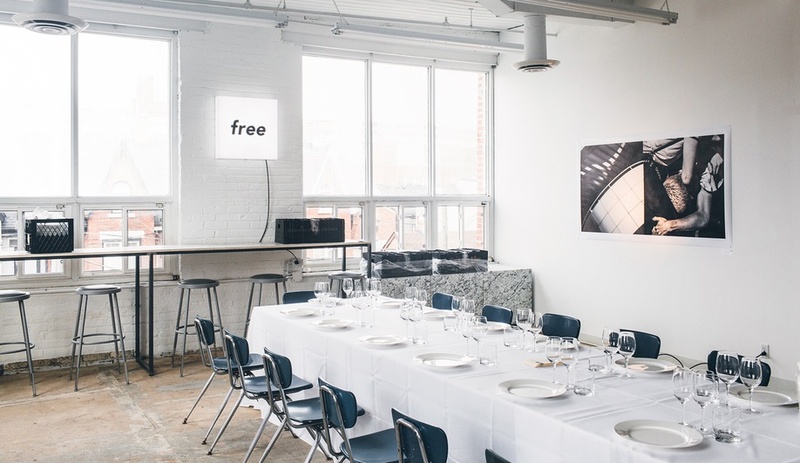 One of Azure’s picks for the top interiors of 2016, Free Studio is a co-working space for the creative class. Chung, a local designer, took a minimalist approach to the 557-square-metre raw space, relying on plywood and simple pine planks as the dominating materials. 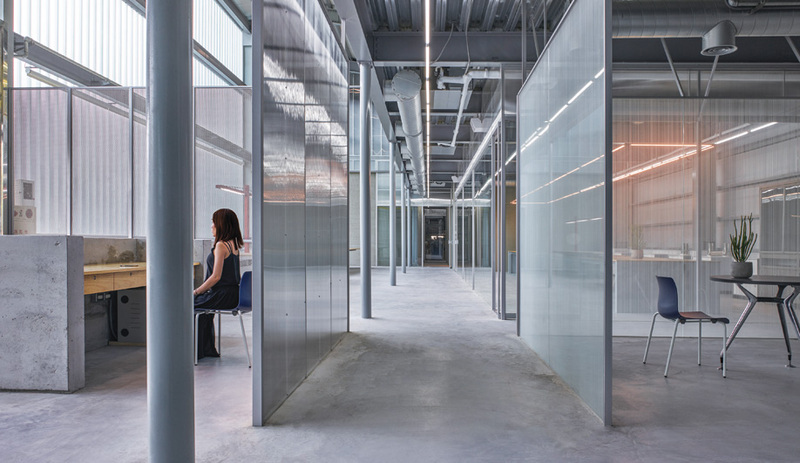 They were used to build the storage units and partitions that, along with a track system, demarcate the space and allow it to take on many functions, including meeting space, photo studio and dining room. 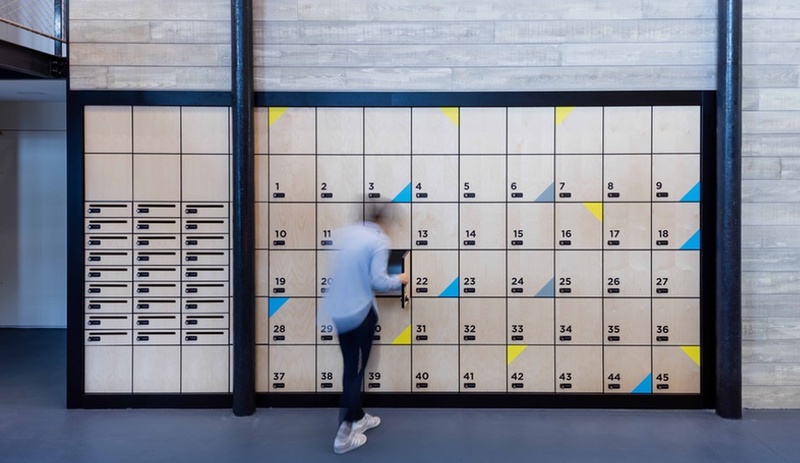 MoreySmith recently transformed a former factory in central Paris into Deskopolitan, 1,350-square-metre, four-floor “work-life environment” where members can access not only workspace, but a barber shop, cafe and artist studios. 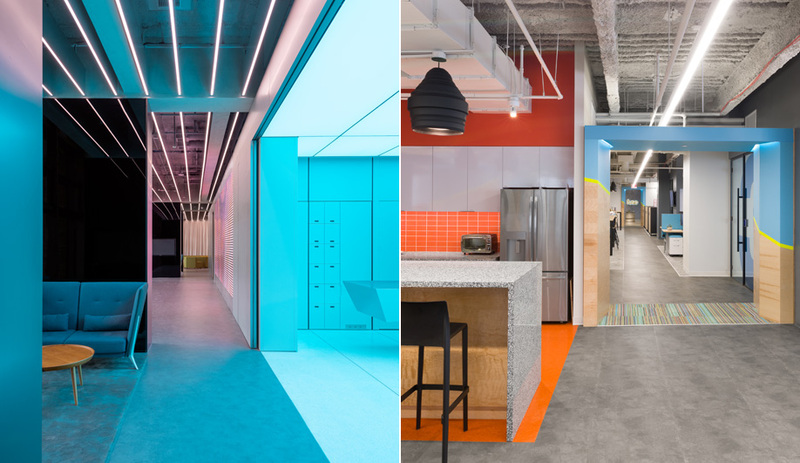 The firm referenced the building’s industrial heritage with exposed ductwork and polished concrete floors, but otherwise created a contemporary and youthful vibe with pastel-hued accents, creative signage and wayfinding, and plenty of greenery. The space has currently been rented in its entirety to French presidential candidate Benoît Hamon, who’s using it as his campaign headquarters. 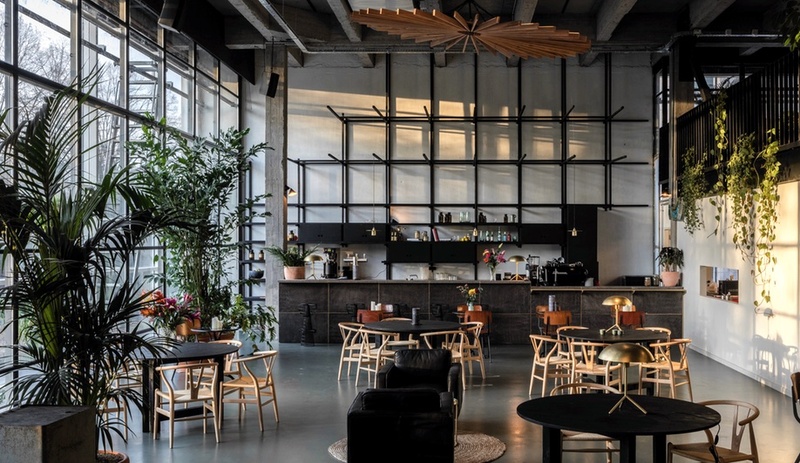 This new co-working space in Antwerp occupies the first floor of the WATT Tower, a 1958 building by Léon Stynen, a Belgian modernist architect. 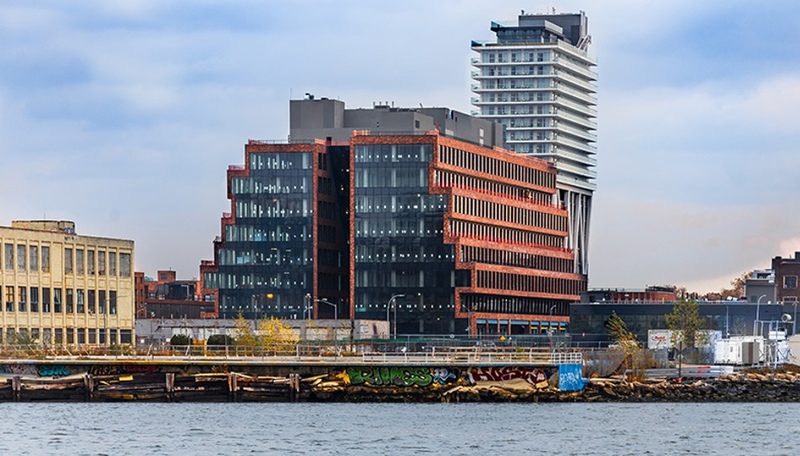 Local firm Going East took their inspiration from New York’s High Line park and sought to create a space that offers a variety of perspectives and settings for Fosbury & Sons members. 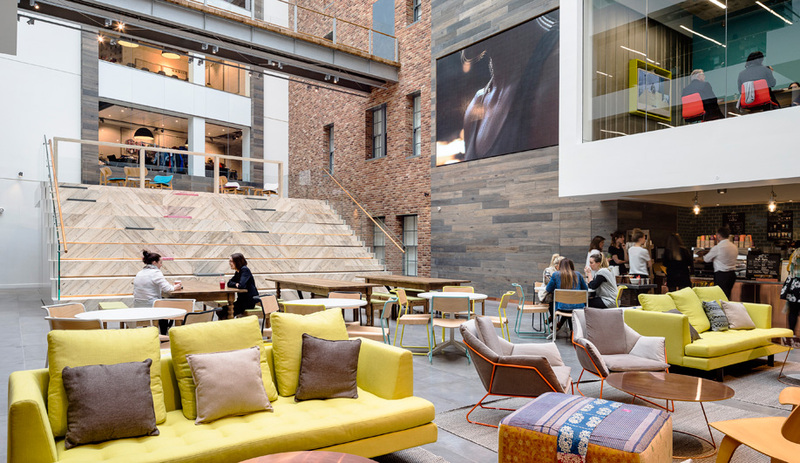 To that end, the designers devised both formal and informal work areas, including a cafe, bleacher-style seating on stairs leading to the mezzanine and an alcove with a daybed, and outfitted the space with a mix of contemporary and mid-century modern furnishings. “Here you can pause at the bar during a ‘walk,’ work at the plants, sit in the library, lie down in the Aster seat, enjoy the view on the steps… That freedom is important,” says Going East co-founder Anaïs Torfs. 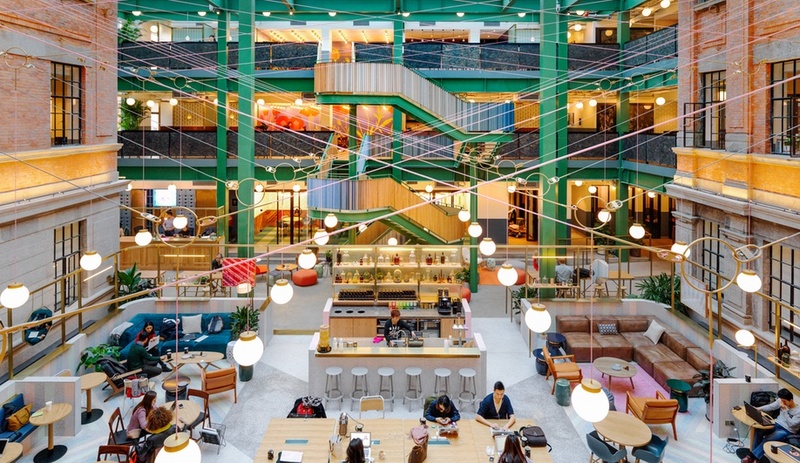 Shanghai-based Linehouse reimagined a former opium factory in one of the city’s old districts as a whimsical flagship location for WeWork, an American workspace provider with locations across the world. 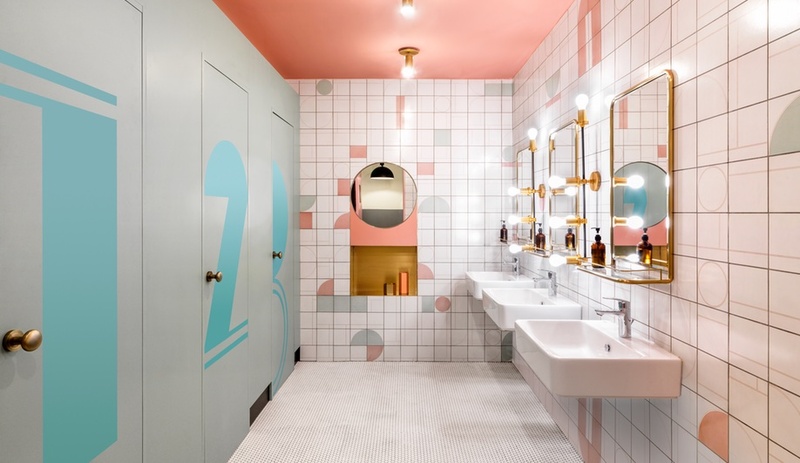 On the first floor, a Wes Anderson-inspired hotel reception counter greets guests. The grand hotel vibe continues, with lobby-like seating and a bar in the atrium, and a bespoke bronze lighting system suspended overhead. A steel staircase, painted ivy green, leads to two additional levels. Other gestures in the 5,500-square-metre space include hand-painted wallpaper, custom tile work and plenty of brass accents. 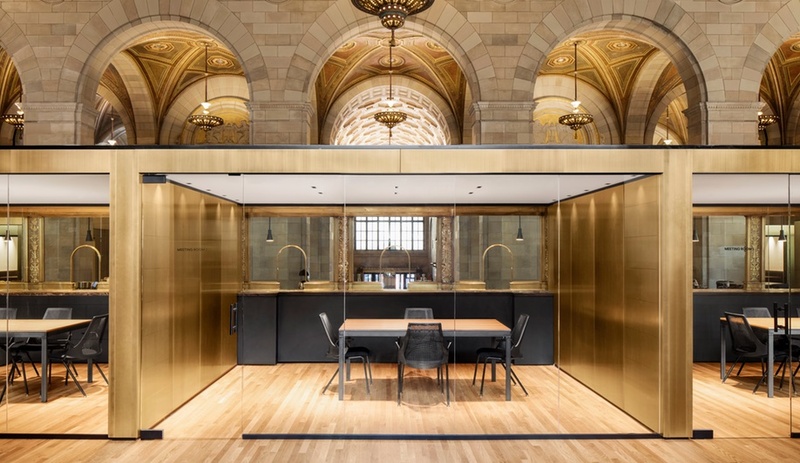 Cleinge’s transformation of a bank in Old Montreal into a stately co-working space for freelancers and creatives was another entry on our list of 2016’s best interior projects. We gave Cleinge and the new Crew Offices top marks for thoughtfully retaining and restoring some of the room’s historic features – brass teller stands, brass light fixtures and a carved- and painted-plaster ceiling – while adding new elements that feel contemporary, yet right at home, such as brass-plated steel and glass-enclosed cubes for meeting space. Creating privacy while still providing space for conversation and collaboration is the challenge that inspiring co-working spaces solve. 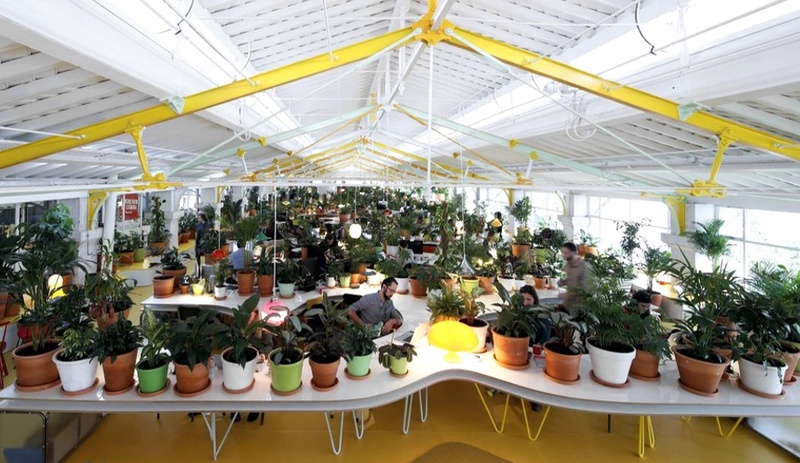 Selgascano rose to the occasion for Second Home Lisboa, the second location the firm has designed for the workspace provider company, by filling the 1,200-square-metre space with more than 1,000 plants. 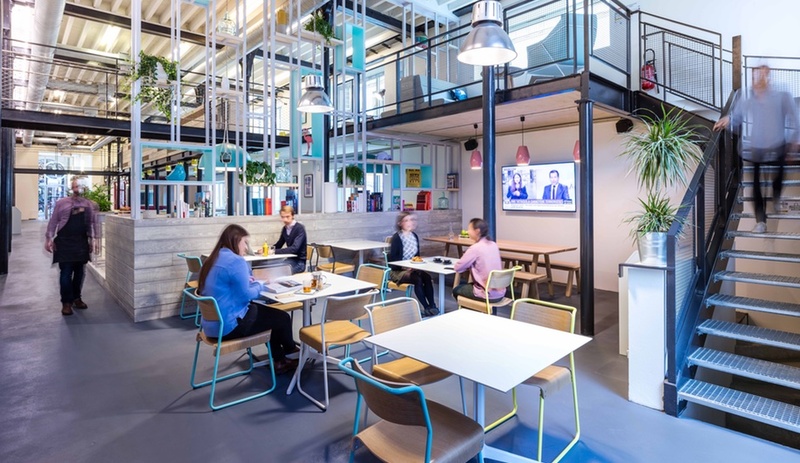 The potted trees and plants sit atop shared long, curvy tables, helping to divide the workspace and also improve air quality. 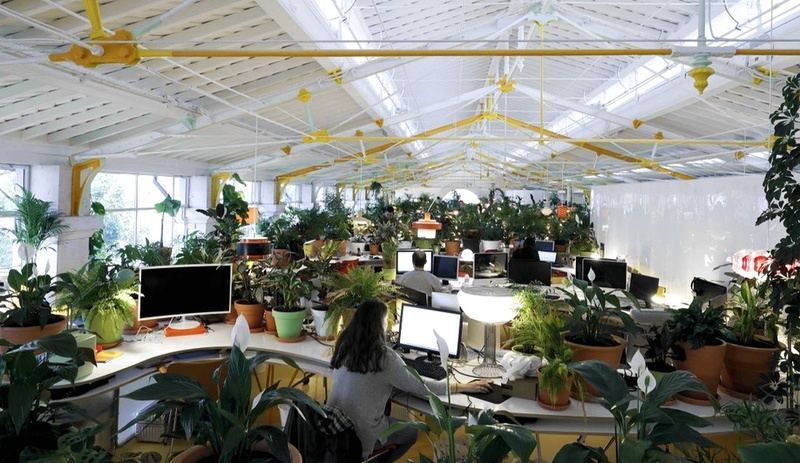 Selgascano kept the rest of the workspace bright and light, painting exposed iron-cast trusses yellow, orange and blue. A second wing, housing a cafe and lounge, was painted dark blue and outfitted with mid-century modern furnishings.